Exosome research cleans up > A novel exosome purification technology, released today by Cell Guidance Systems, will support the microvescicle field. Cell biologists are excited by the medical potential of exosomes. A novel exosome purification technology, released today by Cell Guidance Systems, will support the field. 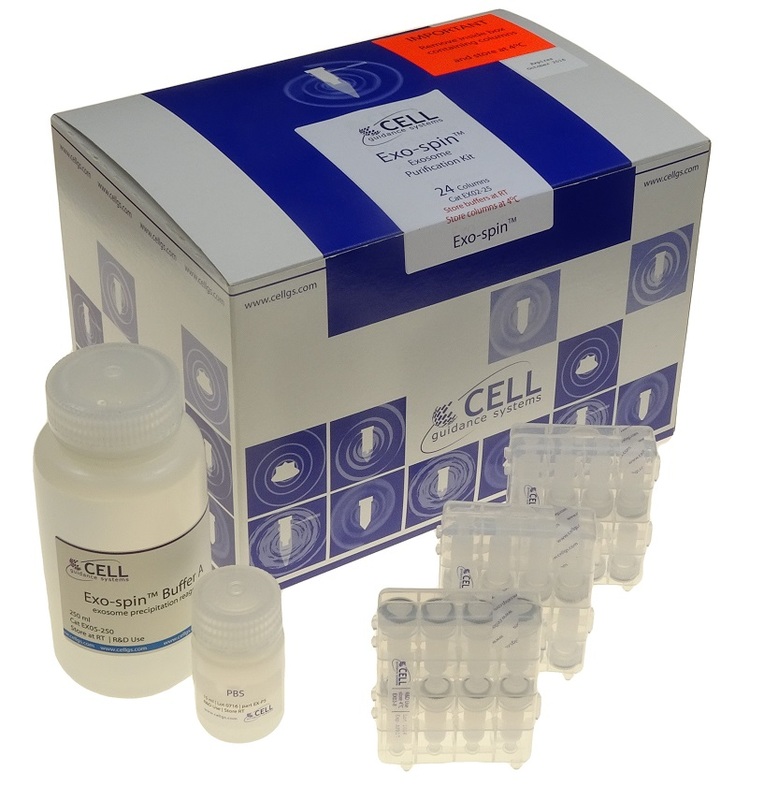 The Exo-spin kit contains all the components required for effective, routine purifications of microvesicles. Once thought to be just part of the cells waste disposal system, it is now clear that exosomes also act as microscopic delivery bags, protecting RNA and protein contents that can then be transported in the blood, influencing the activity of distant cells. Dr Michael Jones, CEO of Cell Guidance Systems, commented “Talking to exosome researchers, it is clear that the current options for exosome purification have significant shortcomings. Exo-spin™ is a breakthrough in reliable purification of exosomes that will enable the entire field to move forward more rapidly.” Exo-spin™ provides a gentle purification process in which no organic phases are used, no ultracentrifugation is employed and the exosomes are purified free of precipitants in as little as one hour.